It's been four years since Mark Edwards asked: "What if Historians of Liberal Protestantism Threw a Party and Nobody Came?" Since that post (in which Edwards detailed an already impressive list of recent scholarship on the subject) we have seen the party continue and even expand. It hasn't necessarily been a wild, packed-to-the-ceiling event. And those pesky conservative evangelicals across the street still seem to be drawing a larger crowd. Still, it has had its moments of excitement and even celebrity guests (hello New York Times). With David Mislin's Saving Faith: Making Religious Pluralism an American Value at the Dawn of the Secular Age (Cornell University Press, 2015) historians of liberal Protestantism can add one more book to their ever-growing list of attractions. Mislin has already discussed his project here at the blog with Pete Cajka, so check that out if you'd like to hear straight from the author. Mislin puts his chronological focus on the years between 1870 and 1930. During those years, Mislin argues, American Protestants had to deal with religious anxieties of an unprecedented sort. Facing intellectual challenges to the plausibility of faith, encountering increased cosmopolitanism, and competing with the allures of a growing mass consumer culture, Protestant leaders had good reason to worry about their declining authority, even if church membership numbers continued to climb. Beginning with this late-nineteenth-century crisis of faith, Mislin's book "traces the process by which anxieties about declining religious commitments prompted two generations of liberal Protestant leaders to affirm the diversity of beliefs and practices around them" (9). While Mislin is dealing primarily with the familiar cast of late-nineteenth-century and early-twentieth-century liberal Protestants characters -- white, highly-educated clergy and theologians from the Northeast and Upper Midwest -- he offers a different angle than past studies that have emphasized the New Theology or the Social Gospel. While not ignoring those developments, Mislin instead looks at the way that some liberal Protestants embraced an "expanded conception of belief" which eventually led them to reject the notion that Protestantism had an exclusive claim on religious truth (7). Although the number of liberal Protestant leaders who took this step remained small, they had an "outsized influence" within their churches and within American culture. 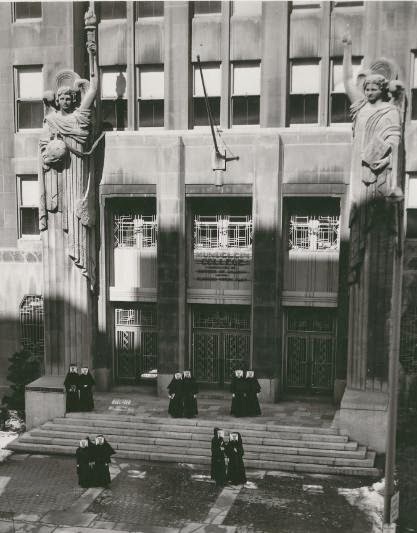 They did not simply operate in the realm of abstract ideas, but instead put their notions of inclusivity into action by creating institutions and by using their access to political power, particularly when opportunity presented itself during World War I. Ultimately, Mislin concludes, this small group created "both the language and the institutions that provided the foundation for the broader acceptance of religious pluralism" (11). Mislin makes his case in six chapters that move chronologically from the 1870s through the 1920s. The first three chapters emphasize the intellectual expressions and theoretical framework of religious pluralism as developed by liberal Protestants in the late-nineteenth century and the first few years of the twentieth century. Mislin charts the acceptance of doubt and ambiguity as a central part of liberal Protestant faith (chapter one), the interest in comparative religion and the affirmation of the value of other religions (chapter two), and the tri-faith "expressions of commonality" that emerged around the turn of the twentieth century (chapter three). The last were built around a shared middle-class culture, a shared sense of embattlement from being stuck in between the secular left and conservative right, and a shared emphasis on the religious importance of social action. Mislin is careful to note that liberal Protestants of the early twentieth century did not embrace relativism. They continued to believe that their religious tradition was superior. But viewed in the context of time and place they took steps towards a more positive view of the value of other faiths and they helped to pave the way for the further expansion of pluralism in American society. In suggesting that the late nineteenth century was a transformative time for liberal Protestant conceptions of pluralism, it seems that Mislin follows a similar chronology as the one mapped out by William Hutchison in Religious Pluralism in America (2003). Hutchison argued that for leading Protestants, dominant attitudes towards a pluralist ideal advanced in three stages: from a posture of toleration through most of the nineteenth century, to one of inclusion in the late nineteenth century, to a more robust participatory pluralism (in which many white Protestants no longer saw themselves as the nation's sole agenda-setters) in the post-World War II era. But while Mislin's chronology may be similar, his account of and explanation for the increasing embrace of religious pluralism in the late nineteenth and early twentieth centuries is much more detailed. Mislin ends with a look at the goodwill movement of the 1920s (chapter six), focusing his attention on the FCC's Committee on Goodwill between Jews and Christians (which later helped form the National Conference on Christians and Jews), the American Association on Religion in Colleges and University, and the Amos Society. Although some of this ground has been covered before by scholars like Benny Kraut and Kevin Schultz, Mislin notes that his angle of linking the goodwill movement "to a desire among Protestants to embrace pluralism that predated the 1920s" is new (194n7). The chapter fits in perfectly with Mislin's well-constructed narrative, serving as both culmination of the efforts that began in the 1870s to increasingly embrace religious pluralism, and prologue to the more widely known mid-twentieth-century affirmations of the same. Mislin's overarching thesis is cogently summarized in the epilogue. 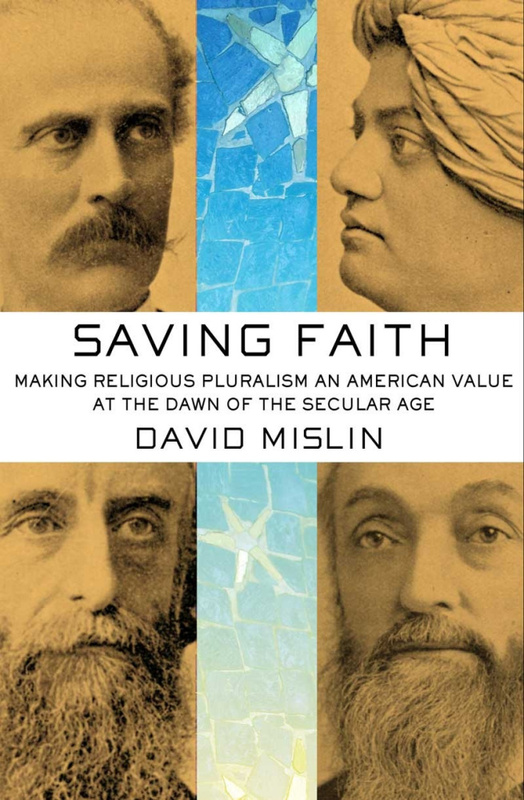 "The desire to preserve religious commitment amid a grave crisis of faith had pressed Protestants to abandon exclusivism," Mislin writes, "and the result was a shift in views that paved the way for a culture that considered its diversity of faiths a national value" (166). There is plenty to like in this well-written and well-organized book. My favorite chapter was probably the first, in which Mislin discusses changing attitudes towards doubt. Mislin's linking of doubt to the preservation of belief is an astute and unique contribution. Mislin should also be applauded for bringing Catholic and Jewish perspectives into his narrative. Even if liberal Protestants are the main subjects of study, he does not let them have the only word. But who were those "liberal Protestants" in the first place? In terms of individuals, Henry Van Dyke, Washington Gladden, Charles Briggs, Newman Smyth, Lyman Abbott, and George Coe all play prominent roles. In terms of definitions, Mislin uses "liberal Protestant" because "it reflects a commitment to progressive religion" embraced by "nearly all of the clergy and theologians" he considers. Mislin eschews similar terms like "mainline" and "ecumenical" because both of those identities emerged as a result of forces that he explores in the book (167n5). Mislin's reasoning for using the term is clear enough but at times it seems like Mislin's category of "liberal Protestant" has too much cohesion, obscuring the diversity of thought and practice that existed within the ranks of this nebulous group. The second question that the liberal Protestant category raises has to do with race. Mislin certainly does not ignore the subject. He discusses the notions of Anglo-Saxon superiority that many liberal Protestants embraced in the early twentieth century and he argues that liberal Protestants took steps towards more inclusive racial attitudes and actions in the 1920s (similar to Kevin Schultz, Mislin views the embrace of religious pluralism as a precursor to an increasing embrace of racial equality). But nearly all of Mislin's liberal Protestants are white men. Since his liberal Protestants seem to be defined primarily in terms of theology, the inclusion of African American liberal Protestant clergy or theologians would have fit in with his definition and could have made for a richer study. I suspect that Mislin did not include African American liberal Protestants because they did not hold positions of outsized cultural influence at the time. Indeed, in the introduction Mislin explains that his subjects of study all belonged to "larger, more established denominations" (10). Still, the racial dimensions of this are not made explicit. Thus, as often happens with "evangelical," whiteness is an unstated, assumed feature of the liberal Protestantism featured in Saving Faith. Of course, definitional issues regarding liberal Protestantism will probably not be resolved anytime soon and will certainly provide fodder for ongoing conservations. In the meantime, if you have not yet made an appearance at the liberal Protestant party, Mislin's Saving Faith provides a great opportunity to stop by and see what the buzz is all about. As for what's next, Mislin is working on what sounds like a fascinating new biography of Washington Gladden's life as a local pastor. * I wrote a bit for John Fea's blog about Mislin's recent American Society of Church History paper on the subject, so feel free to check that out. *UPDATE: the Washington Gladden bio mentioned above is a side project. Mislin's main area of research now is on historical conceptions of evil. Thanks for the review, Paul. I look forward to reading the book!